Imagination-Driven Playground Games for Your Family! Presenting Biba Playground Games! 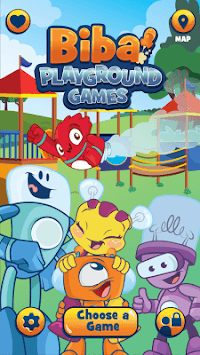 - a bundle of games for you to play with your children out on your local playground. With this perfect blend of digital and physical play your family is sure to have an unforgettable playground trip that really gets kids moving. As parents, Biba knows balancing screen-time with your kids can be a challenge - so why not turn the screen-fixation on its head. Our games turn screen-time into ACTIVE time, encouraging social and imaginative gameplay that get kids OFF the couch and moving! From Collectobots to Dino Dig, each Biba game presents imagination-centric adventures aimed at getting kids naturally active, and with this suite of fully interactive experiences, kids can go from pretending they're grand prix racers, to seeking out dinosaur bones, to collecting tiny baby robots to participating in cooperative relays--all made possible through the power of the device in your pocket. 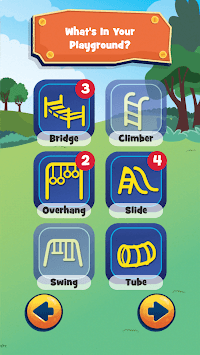 All Biba games are set in your local playground and use the equipment around you; simply select what equipment you have at the start of the game and you are ready to play. While the BEST experience may be in a BIBA playground, Biba games are designed to be playable in any neighborhood playground. WHAT IS A BIBA PLAYGROUND? With over 1 million minutes played and 3,000 playgrounds worldwide (and growing! ), Biba playgrounds leverages new augmented reality technology simply by scanning designated markers displayed throughout the playground to unlock new content, activate mini-games and reveal treasures and fun achievements when scanned. We know that balancing screen-time can be tough! That's why Biba games seek to use screens to get parents and kids engaging in outdoor and active experiences on their local playground. No sitting around staring at screens, in Biba games, kids ARE the avatars! Biba games are simple to play and designed to re-imagine play for children, breaking kids away from sedentary video game experiences and getting them outside where the real fun happens. A whole new category of imagination-driven games that bring back the basic joy of play, blending digital interaction with the real world physical activity that kids need! We here at Biba are parents too, which means all of our games are not only free forever, but they respect your privacy, complying with COPPA/PIPEDA privacy legislation at every turn. Biba games are intended specifically to get kids participating in what the World Health Organization refers to as “moderate-to-vigorous physical activity”--games that elevate heart rate and encourage consistent movement. And don’t forget - Biba games are often wacky and unconventional, so for the best experience, please remember to agree to camera and microphone permissions when asked for! Biba Ventures is on a mission to get today’s screen-savvy kids OUTSIDE and ACTIVE. Our games integrate digital and physical playtime and get parents and kids playing together in a fit and adventurous way. Biba games take on the problem of youth sedentariness and screen-fixation and turn it into healthy, active gameplay. Leveraging augmented reality and playful imagination, Biba games can be played on any playground, however, there are some benefits to playing on a Biba Playground, including markers which can unlock new content, activate mini-games and reveal treasures when scanned. 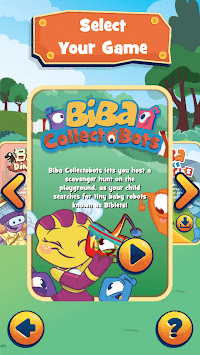 Biba’s library of apps is listed by the kidSAFE Seal Program. The kidSAFE Seal Program is an independent safety certification service and seal-of-approval program designed exclusively for children-friendly websites and technologies, including online game sites, educational services, virtual worlds, social networks, mobile apps, tablet devices, connected toys, and other similar online and interactive services. Click on the seal or go to www.kidsafeseal.com for more information.